Anti-Semitic attacks rose faster in 2017 than any time in the past 40 years, The Anti-Defamation League today said. The group reported a 57 percent jump in anti-Semitic incidents in the USA last year. This is the highest number of such hate acts the Jewish civil rights group has counted in over two decades, according to data released Tuesday. "In an environment in which prejudice isn't called out by public figures, figures of authority, we shouldn't be surprised when we see young people repeat these same kind of tropes," said ADL's chief executive. 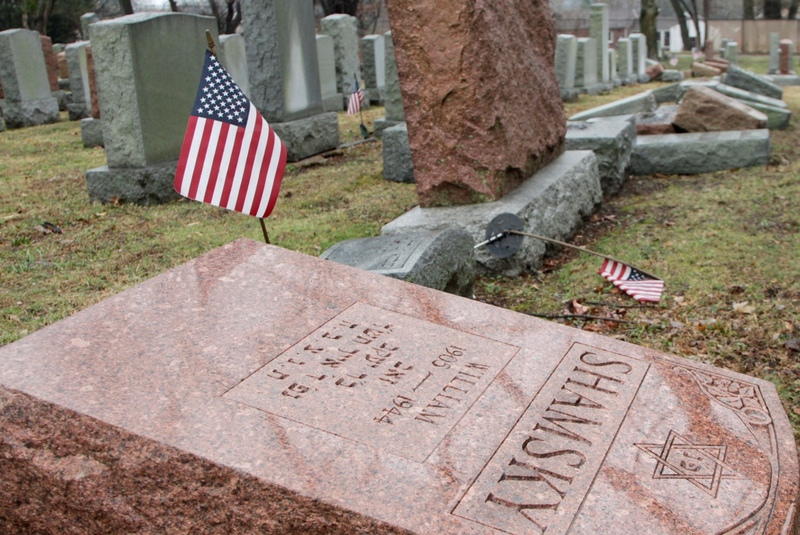 PHOTO: [Reuters] An American flag still stands next to one of over 170 toppled Jewish headstones after a weekend vandalism attack on Chesed Shel Emeth Cemetery in University City, a suburb of St Louis, Missouri, U.S. February 21, 2017.